Posted in blog business, Indie Polish, Mainstream Polish, Manicures, Nail Art, Nail Swatches, pictures, Press Sample, reviews	by Jessica W.
This was such a fun mani! My husband doesn’t often understand my mis-matched manis but honestly, I don’t care. 😀 I mean, my socks don’t even usually match and it drives him crazy. 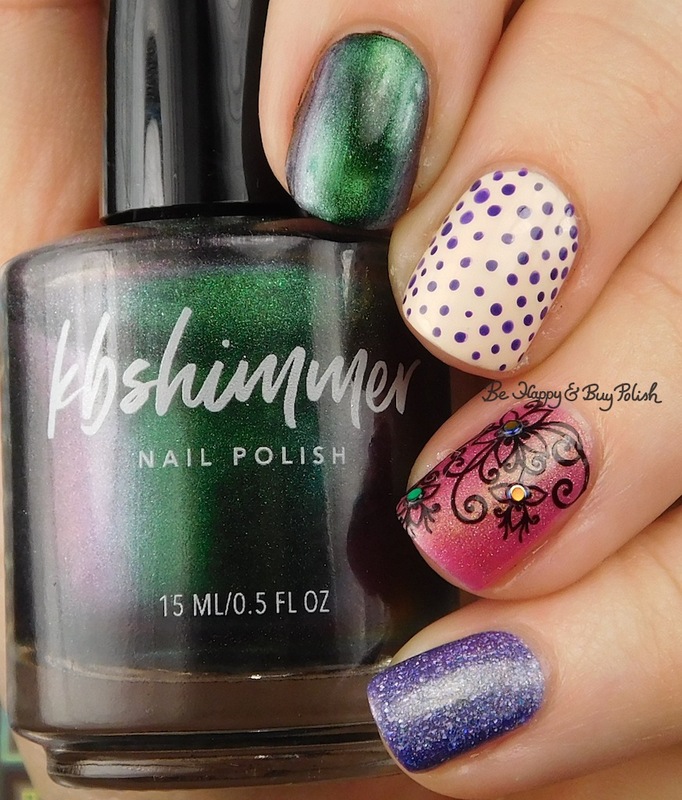 Aww, I love you too, KBShimmer! ❤ What, you don’t see a vague shape of a heart here? Don’t ask me how I accomplished that because I have no idea. You did such an awesome combination here. I have a serious love affair with dots! Me too! I love dots so much!